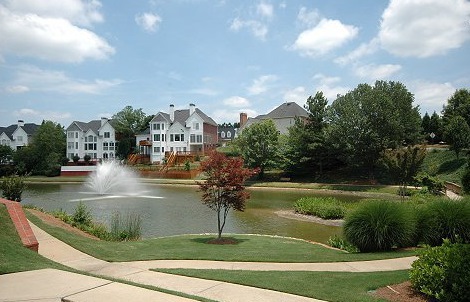 EastHampton is a 426 home subdivision located in East Cobb County about 20 miles north of downtown Atlanta. The first homes in our neighborhood were built in 1993 and the final phase was completed in 1999. EastHampton's residents enjoy access to some of the finest public schools in the state including Pope High School and Walton High School, the highest rated comprehensive public high school in Georgia. 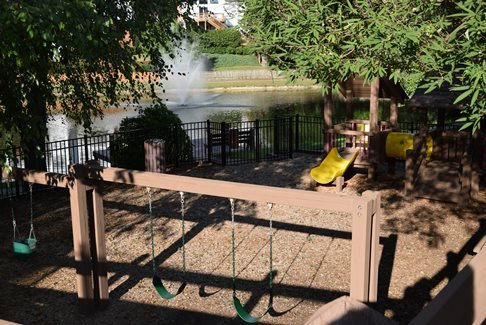 Our residents take full advantage of the complete amenity package the neighborhood provides including a competition pool with water slide, six tennis courts, a well appointed, two-story clubhouse with gym, two playgrounds and four lakes. EastHampton provides the advantages of a large community while being manageable by clustering homes in sections - the Enclave, Lakeside, Overlook, Preserve, Estates and The Ridge at EastHampton. Shopping and restaurants are easily accessible - the Avenue at East Cobb is an easy walk from the main entrance and East Cobb's main retail corridor is only minutes away. Visit our neighborhood and you will understand why EastHampton is a great place to live.